SmartWings launch 6 new routes from Prague and 8 new routes from Slovakia! 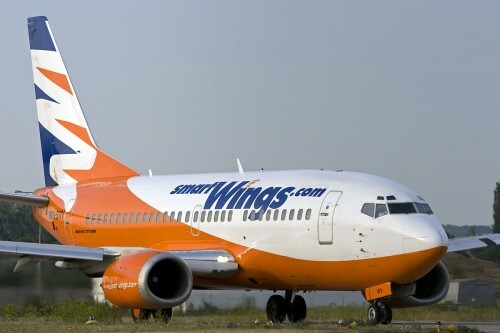 SmartWings announced yesterday it will open 4 new routes from their base in Prague, Czech Republic. The low cost airline which is part of Travel Service company focusing on charter flights will start operating flights in the Summer season 2015 (middle of June). The new destinations from Prague are Faro (Portugal), Funchal (Madeira), Podgorica (Montenegro) and Tirana (Albania). The frequency of flights depends on the destination, expect couple of flights per week. Prices are already uploaded to the airline’s booking system at this stage but SmartWings isn’t exactly cheap airline so expect around €200 for cheapest return tickets. In addition to these 4 new Summer routes the airline plans to launch also already announced flights to Moscow (Sheremetevo) which should be operated daily by Boeing 737-800 and also to London (Gatwick) with 4 flights per week starting from April. There are also good news for travelers from Slovakia: the company will start flying from Bratislava to Heraklion, Rhodes, Burgas, Palma de Mallorca, Olbia (Sardinia) and Tel Aviv. SmartWings will also add 2 regular flights from Kosice in Slovakia to Burgas and Rhodes. These flights will take place 2-4 times per week depending on the destination. The company transported over 520 000 passengers last year in Slovakia and grew 14% from the previous year. You can book your tickets already at smartwings.com. « CRAZY HIT! Super cheap 3in1 flights to Dubai and Philippines from Prague for €254, with Australia for €352!